ARP's Flywheel and Flexplate Bolts deliver unmatched performance and safety for both street or strip vehicles alike. 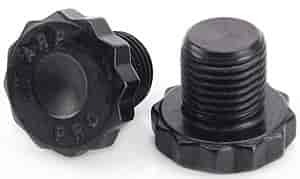 These bolts are forged from aerospace alloy and heat-treated, thread rolled and machined with an exclusive, flat, 12-point head design. A larger than stock shank diameter offers increased and improved flywheel register. Flywheel and Flexplate Bolts are offered in two styles; premium grade Pro Series and High Performance.